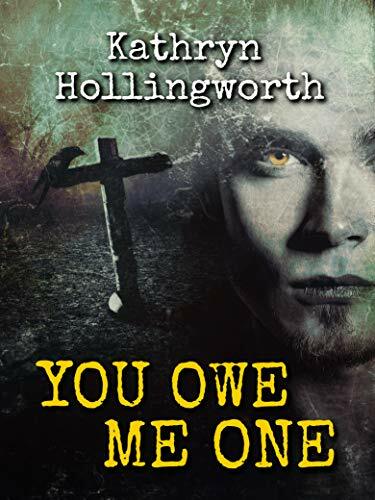 Thrilling from the beginning, You Owe Me One by Kathryn Hollingworth is a devastatingly intricate tale the covers centuries and delves into the minds of more than one person. Broken into six parts with the chapters jumping from one first-person perspective to a completely new one, the thread that connects our characters is long. The narrative crosses hundreds of years and genders to bring us a delectable tale of what happens when the Devil makes himself explicitly known to man. Wonderfully written, readers will have a hard time putting this book down until they reach the very end. To smoothly jump from the perspective of a young woman in the early 2000’s to a young man in the latter part of the 1800’s is no easy feat. It’s hard enough to balance multiple characters, but a writer worth their salt would need to be able to put themselves into the shoes of each character and write with their personality in mind. Because these snippets are all shared from the first-person perspective it is easy to see how truly difficult this task can be. Hollingworth knows this craft and she knows how to write an intriguing story without giving away her secrets at the beginning. Questioning a religion as old and powerful as Christianity is no easy task. But that’s exactly what Hollingworth does. Her characters do, anyhow. Even when they are face to face with the Devil himself; wrapped up in a strange series of events that deliberately push the envelope against religion’s place in the modern world, Hollingworth treads with respect and care. She has done her research, that much is certain. It’s this respect and care that wraps everything together in a nice package and delivers it to the mind of the reader. In a thrilling journey of memory loss, curses standing the test of time and deals with the Devil You Owe Me One by Kathryn Hollingworth is a book that deserves praise and picking up. The writing is excellent as the tale takes on a life of its own. Readers might find themselves jumping at every noise in their home or shying away from ornate mirrors for a while, but it’s worth the minute discomfort. Hollingworth is a benefit to her craft. This tale is woven so tightly and with little space for error that it’s an enjoyable read. The question then becomes, do you believe in the Devil?